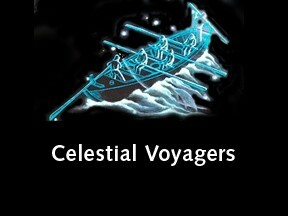 Celestial Voyagers are the spirits of sailors who have died at sea. 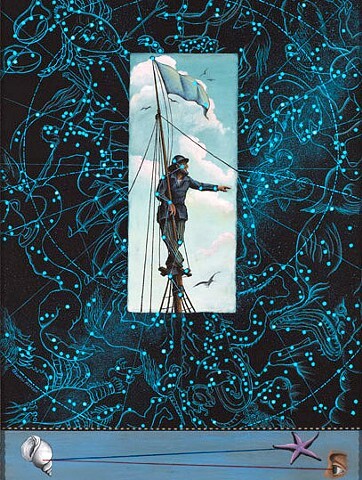 The series begins with nineteenth century seaman who, when alive, wandered the oceans, hunting whales, mapping the world, exploring continents, transporting goods and passengers, fighting wars. 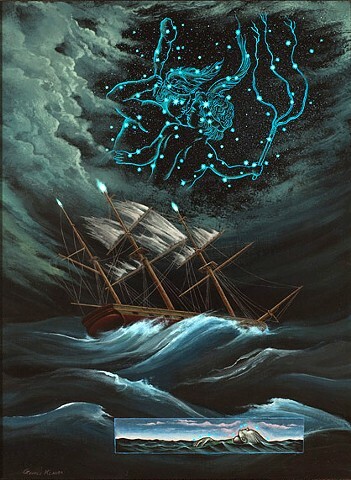 Knowing stars, following the maps in the skies, has always been part of a sailor's stock and trade. 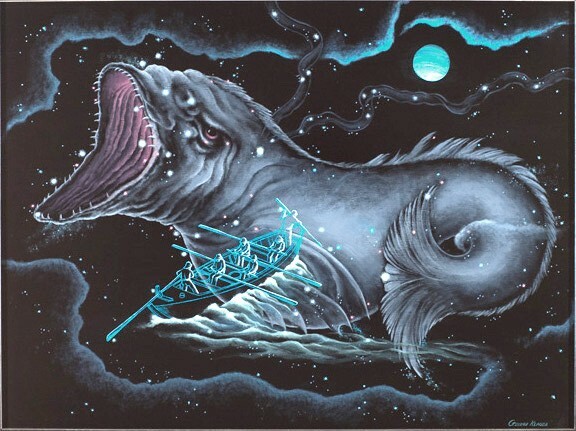 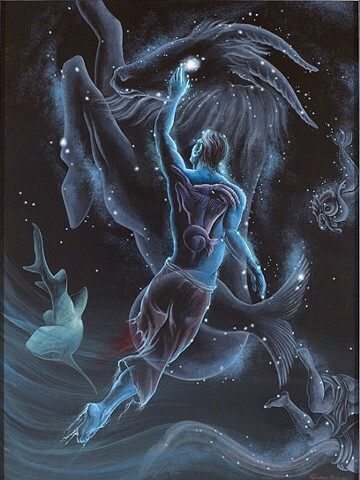 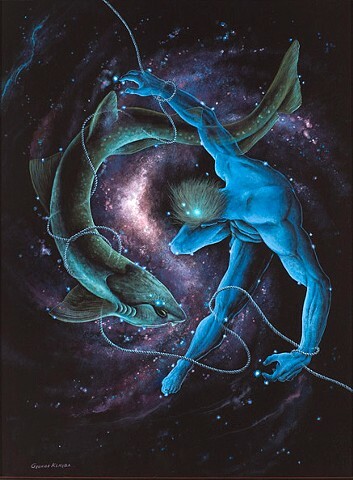 Crushed by whales, eaten by sharks, pulled under by a coiled rope around a limb and drowned, or lost overboard in heavy seas, they ascended to the heavens to be embraced by the stars that guided them in life. 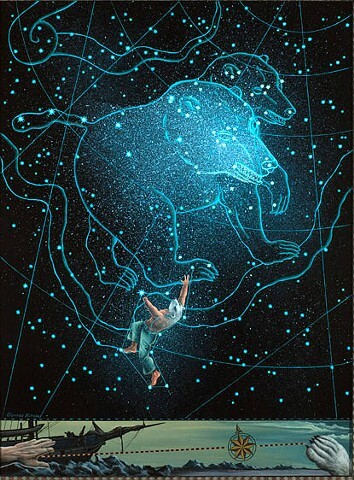 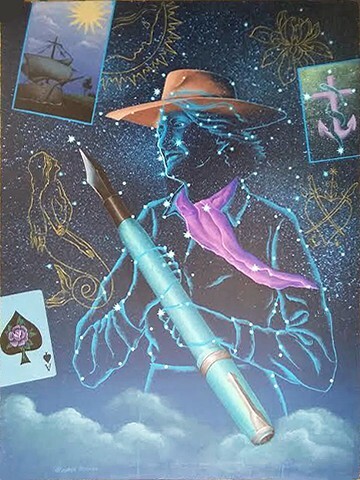 In this mythology, these celestial voyagers merge with constellations to become star-guides themselves. 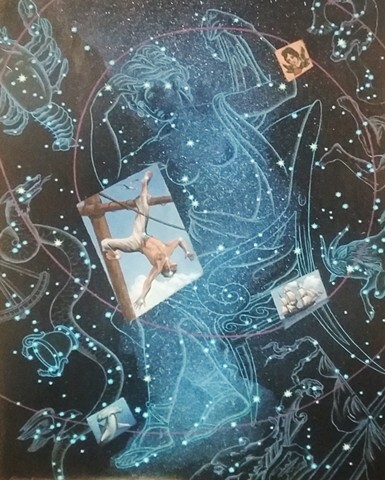 Now and for eternity, they will navigate celestial streams in the phosphorescence of the Milky Way. 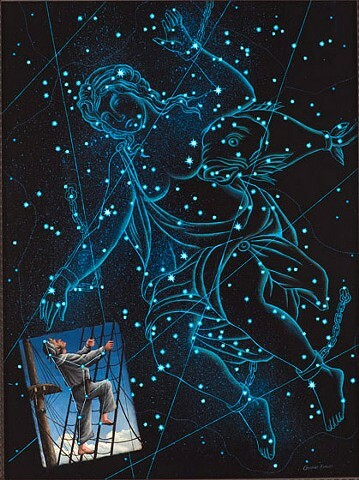 The imagery incorporates sailors' superstitions, star lore, and astronomy.